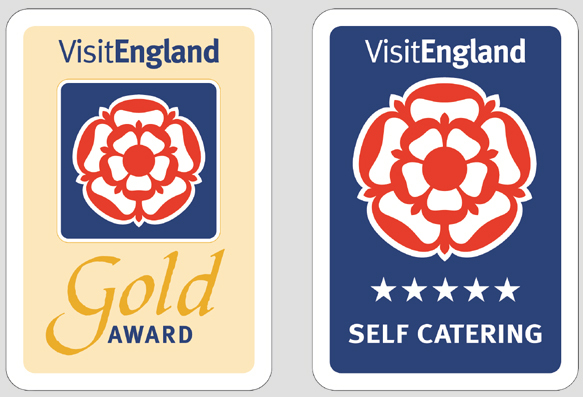 Wigglesworth House and Cottages are yet to be assessed for our National Accessibilty Scheme Awards (NAS), but we believe we are not far away from entry level at least – providing accessible ramp access, handrails and detailed information in our access statement which you can view by following the links below. We often have guests with some mobility issue, whether it be a broken leg, recovering from a hip replacement or a more serious illness. Both Gamekeepers Cottage and Cross Cottage have ground floor facilities and easy entry via ramp access. We can provide portable hand rails, non slip bath / shower mats and toilet seat raisers on request. Fixed handrails in one bathroom per cottage. Each cottage has a portable hearing loop and a flashing and vibrating alarm clock for those with Hearing Impairment. The information provided in our Welcome Folder is large print. Please find the Access Statements for both Gamekeepers Cottage and Cross Cottage along with downloadable floor plan options.